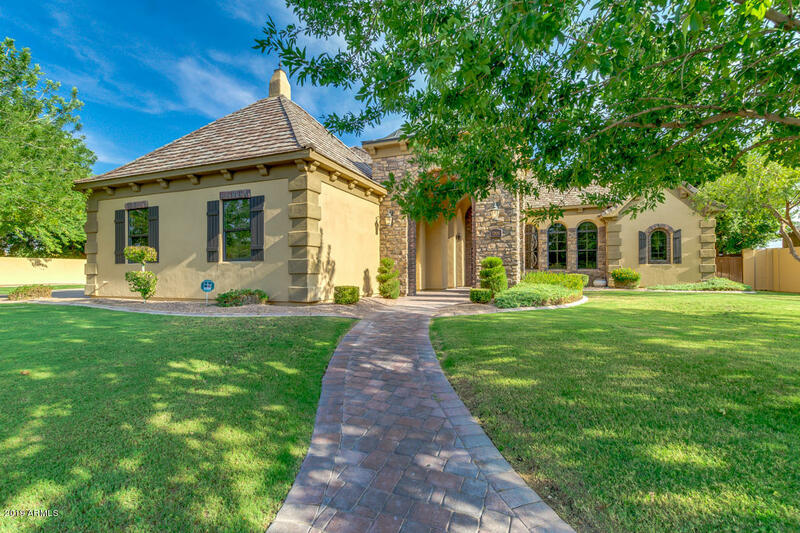 All ANNECY homes currently listed for sale in Gilbert as of 04/19/2019 are shown below. You can change the search criteria at any time by pressing the 'Change Search' button below. "Signature SMART home by architect Michael Norberg created as Builder's dream with finishings to extend .5 ACRE community features as extension of estate. MOST PRIVATE and One of the LARGEST LOTS in community. Two double garages. On main floor: PRIVATE GUEST SUITE ENTRY & SPLIT MASTER SUITE, Jacuzzi tub, marble/granite vanities shower, gas cantera fireplace. Master opens onto backyard heated waterfall diving pool/spa oasis (built in BBQ, TV, outdoor shower expansive grass & mature citrus). PRIVA"
"Stunning single story custom home in the luxury gated community of Annecy. Beautiful elevation leading to custom entry with stone andwood entry floor and custom ceiling trim above. Stone and hardwood floors, wide baseboards, arched doorways and crown moldings. Widehallways perfect for large Art pieces. Huge master suite with his and hers walk-in closets, TWO sets of Jack-n-Jill bedrooms, check out theWOW! laundry room, AND the beyond WOW! kitchen. 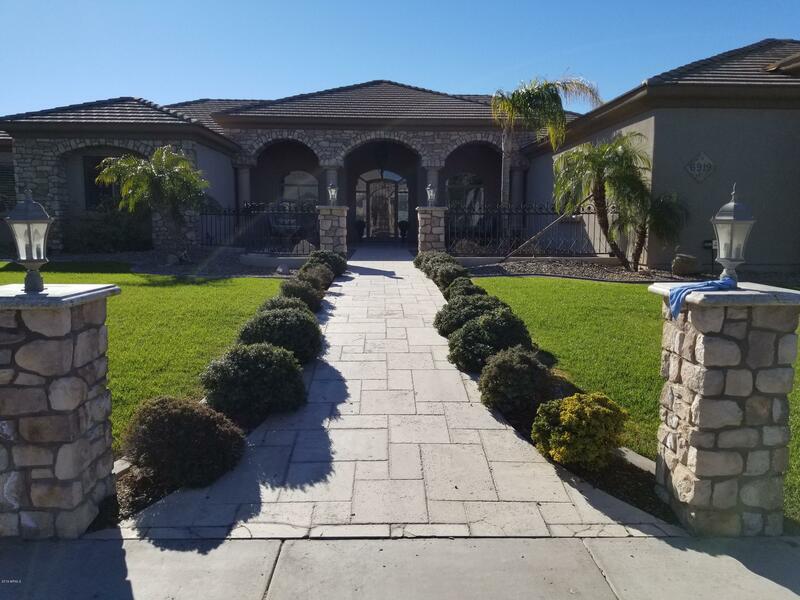 Spectacular ALL BLACK TILE swimming pool featuri"
"Carve out the incredible life that you've been dreaming of in this truly magnificent single story brand new 4 bed, 4 bath home that sits in a cul-de-sac lot! Brand New Home. In a Gated Community. Upon entering this home, you are greeted by 12 foot ceilings, wood look flooring throughout. A beautiful Kitchen with tons of Granite counter space. dual sinks, walkin pantry, plant shelving, 2 wall ovens, gas stove (electric option), tiled backsplash, warm wood cabinetry and sleek finishes/fixtures. 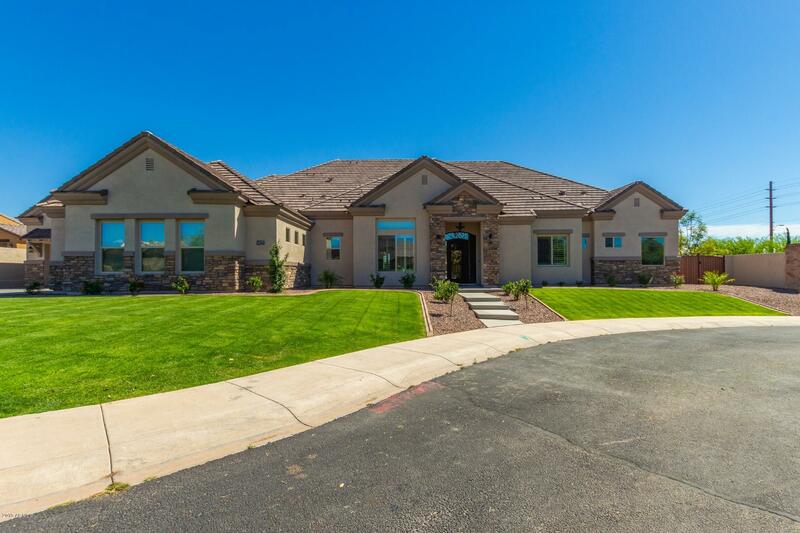 Y"
"Tucked away in Annecy (Gated Community housing some of the most Desirable Custom Homes in the area) and within reach of all that Northeast Mesa has to offer, awaits a Hidden Gem! 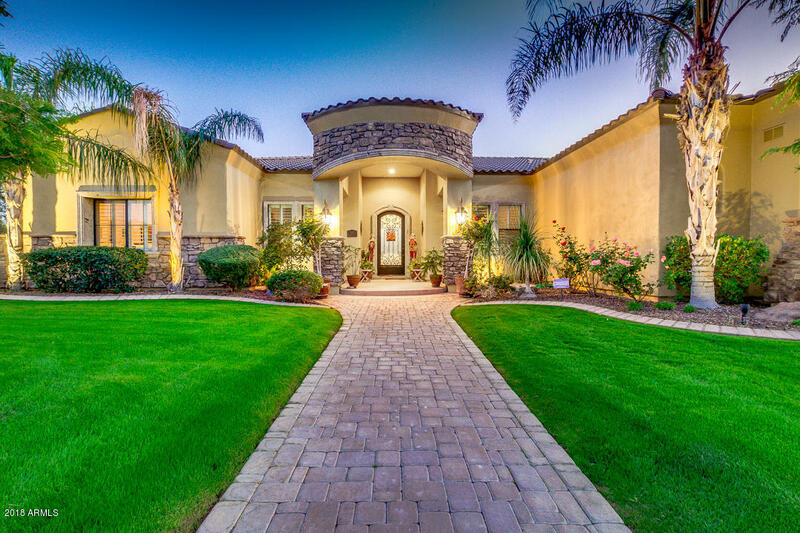 Golf Resorts, Red Mountain District Park and Loop 202 are all accessible within minutes, while still being within reach of Usery Park and Saguaro Lake Ranch. The interior, however, is unmatched! Custom Folding Glass Doors open ENTIRELY for access to the Covered Back Patio. Tasteful Cantera Stone in the Exterior Window T"
"BRAND NEW CONDO READY FOR IMMEDIATE MOVE-IN! 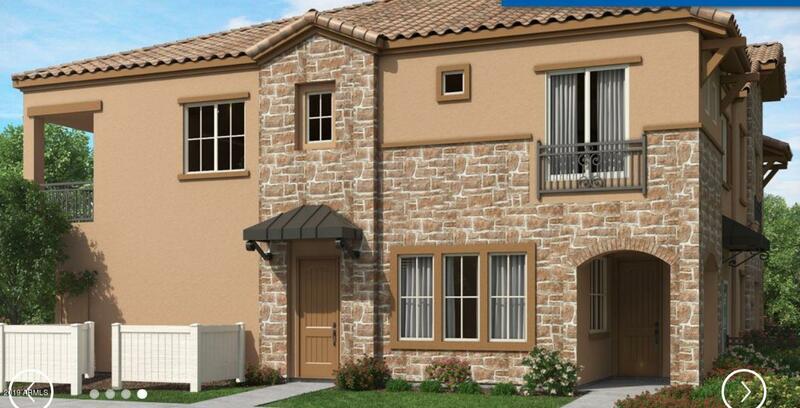 Annecy is a gated new home community offering beautiful condominiums for sale in Gilbert. Experience modern design details with open-concept layouts for entertaining, upscale kitchens, outdoor living spaces, spacious secondary bedrooms, stylish owner's suites and flexible spaces per plan. In addition, Annecy residents enjoy a vibrant environment filled with desirable amenities including multiple pools, hot tubs and pool houses, basketball court and p"